In a perfect world, independent contractors who receive 1099-MISC forms for nonemployee compensation should receive correct 1099s by January 31 of the filing year. Yet, we all know it's not a perfect world. As an independent contractor, what should you do if you don't receive a 1099 or you need a 1099 corrected? If your 1099 doesn't arrive by February 1, give your client a few days then follow up. This is a busy time of year for those handling 1099s, so yours may not be top of mind for them. You may also need to follow up with a different department. This polite persistence is also required if your 1099 is wrong. As soon as you receive a 1099-MISC, check its accuracy. You don't want to discover you have an incorrect 1099 on April 14. 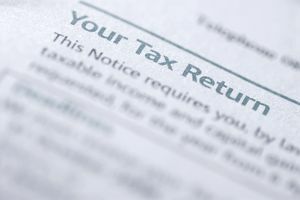 If you do find a discrepancy between your records and the 1099, you should resolve this before filing. The issuer of a 1099 sends this form to the IRS, so any discrepancy can raise a red flag. Immediately contact the person to whom you send your invoices if you believe your 1099 is incorrect. Ask him or her to send you a corrected 1099. Sometimes it is this simple, but often it will take multiple phone calls to different departments. You may need to provide copies of your invoices or work records. Frankly, the issuer of a 1099 doesn't have nearly the motivation to straighten this out as you do. The income should have been received in the tax year for which the 1099 is issued, so check the date of when you received payment. Take special care to record into which tax year (which runs January 1 to December 31) income that was received in early January or late December falls. Your memory may not always serve you correctly. If the company issuing your 1099 was bought by another company during the tax year and you continued to work for the new owner, you could receive two 1099s for the year--one from the old owner and one from the new. If one of these 1099s is late or missing, this could explain what appears a low amount of compensation from the other. What If You Can't Get a 1099 Corrected by April 15? Let's say you waited to open your 1099-MISC until just before the filing deadline and discover a mistake. File for an extension. You still have to pay your taxes by the due date, but this gives you and your client time to get the 1099 corrected. What If Your Client Disputes Your Records of Business Income? You can go ahead and report the income your records reflect, but you will get audited. You can then provide the auditor with your documentation of your business income. If the IRS is convinced that your records are accurate, the company issuing the 1099 could be audited. However, there is a risk that the IRS will not side with you and that you will create ill will with your client, so it's best to straighten it out with your client if at all possible. I am not a tax attorney, CPA or tax preparation specialist. For specific questions about your taxes, please refer to IRS publications or consult a tax specialist.